WISHING YOU ALL A VERY HAPPY AND PROSPEROUS ONAM!! God’s own country’s very own festival Onam is just round the corner. So all you people out there, lets welcome King Mahabali this year with a grand Onasadya! Veteran Sadya makers please excuse! This post is hugely dedicated to the beginners, who want to please their family and friends’ taste buds with a traditional Sadya. I am planning to give a detailed guideline as to how to prepare and present the Kerala Sadya on a banana leaf (up to my limited knowledge)! If there is no leaf, not to worry, big plates will do! Come on people, give it a try! Compliments await you! 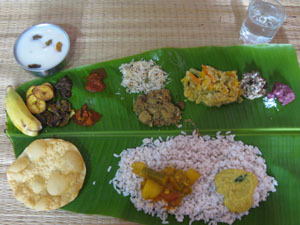 The main specialty of Onam is Kerala Sadya which is served on a banana leaf with more than 10 items. Please bear in mind that this is how a Sadya is served in my part of Kerala (Central Travancore), and it hugely differs in the other parts! Starting from the left side of the leaf, let’s just go through what all items are filled in the leaf! The rice is served hot only after the person is seated for having the Kerala Sadya. Lets begin ! A typical sadya has banana chips, thick jaggery-coated banana chips, pappadam and pazham on the extreme left corner of the banana leaf. Some sadya also include bitter gourd chips, yam chips etc. A crispy snack, kaliyadakka is usually made during Onam and unniyappam is made as part of nivedhyam (offering) to God. Click the picture to go to the recipe..
Pickles are served right next to the chips. Pickles include – Inji curry/puli inji, naranga llasuachar and kaduku manga achar. Vadukapuli naranga achar is usually made as part of an Onasadya. Naranga achar is served once more, right before payasam is served during marriage feast. Inji thayir is served as part of a pirannal feast. Now its time for the main dishes to settle in the leaf ! The dishes that decide whether the sadya turned out good or not ! The delectable Aviyal, good looking thoran, colourful kichadi and pachadi, spicy and flavorful kootu curry and mild yet delicious, Olan. An absolute delight for the tummy of Keralites! The choice for thorans are many. Be it cabbage thoran, beans and carrot thoran, idichakka thoran or vazhapindi-parippu thoran – which is usually made during Onam ..your choice! Pick one..
Vadakoottu curry is a specialty of Trivandrum. Erisseri and theeyal are usually served in Trissur and the northern part of Kerala. It is said that when you are having sadya, if you taste a bit of Olan before tasting any particular dish, you would get the real flavor of that dish alone! In our part of Kerala , parippu is the first to be poured into the hot rice followed by ghee. Smash a pappadam into it and have it ! I guess lots of mouths would be watering now . Mine definitely is ! (I have seen that in Thrissur, parippu is kept at the side like a curry and sambar is the first ozhichu curry to be served !) Next in line is sambar and kalan. After that in some places rasam is a must, but in our side the stomach pacifier sambharam is served ! Finally the main star of the sadya is served – Payasam. Usually ada pradhaman or parippu pradhaman is served first. And then would come a white coloured payasam – palada or semiya or pal payasam. Boli, a sweet crepe made using chana dal and maida is usually served along with pal payasam or semiya payasam during Kalyana Sadya. Sooo, what are you waiting for?????????? Gear up ! Get into the kitchen, get your whole family too! After all, there is nothing more pleasant than preparing a Sadya together! 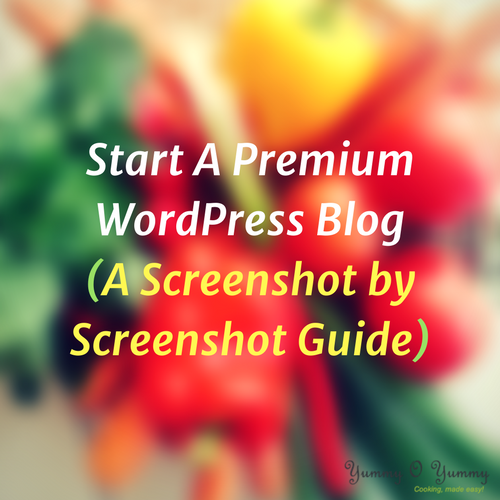 Hope this post was helpful to you all. Please do let me know your feedback on the Kerala Sadya dishes. Wishing you all a very happy Onam! This year also I made my Onnasadya by seeing ur recipes only and it was big HIT!.. mainly Pineapple pachadi and Inji curry…. Your Site is awesome …keep going..
Really happy to hear that..Thanks for taking the time to write your feedback here.